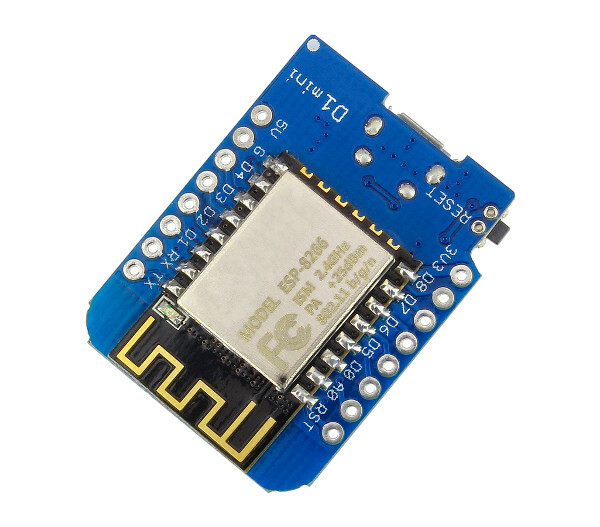 The D1 Mini is a breadboard-compatible WiFi development board based on the ESP8266. 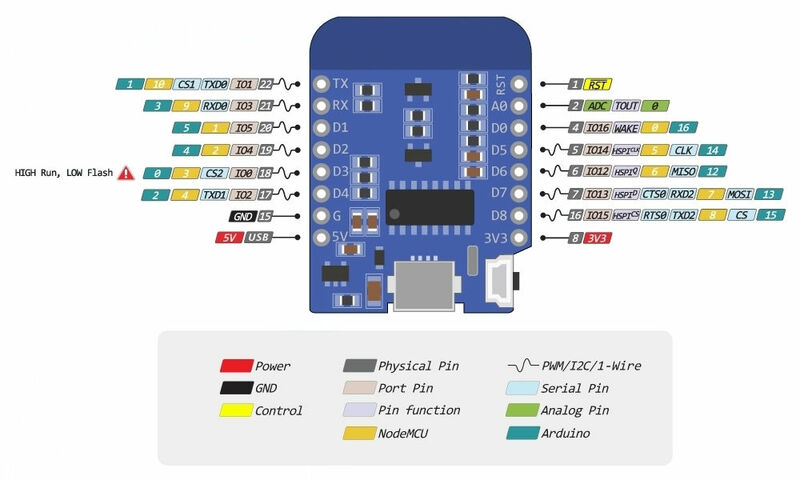 This board is compatible with the Arduino IDE and with NodeMCU. 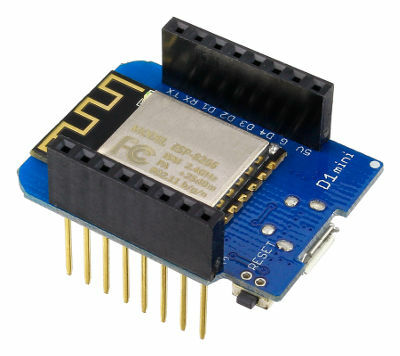 All of the I/O pins have interrupt, PWM, I2C, and one-wire capability, except for pin D0. The board comes with three different sets of header pins: long-pin female headers, standard-pin female headers, and male pin headers. You can solder the set you choose to your board. The long-pin female headers are our favorite since they allow you to plug the board into a breadboard while also having female headers available on top of the board. 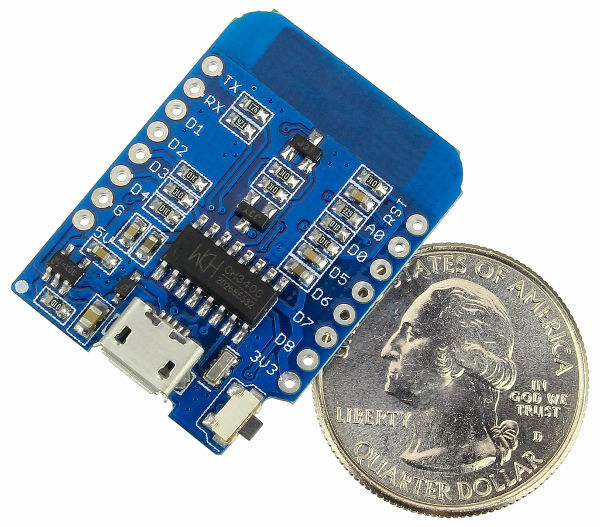 The board includes an on-board USB Micro connector and USB to serial (UART) converter, making it easy to power and program the board by simply connecting it to your computer with a USB Micro cable. 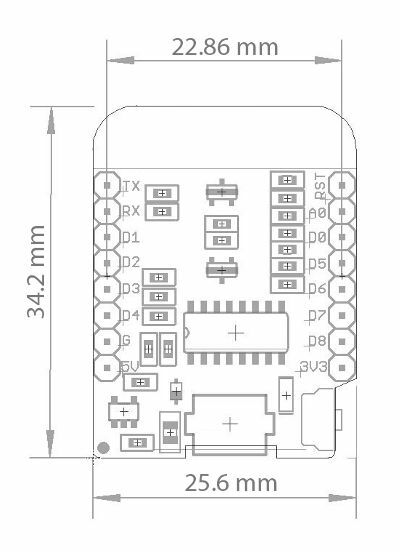 We offer a board similar to this called the ESP8266 D1 R2 V2.1.0 WiFi Dev Board that is shaped like the common Arduino UNO footprint. Note: The D1 Mini is a 3.3V device. 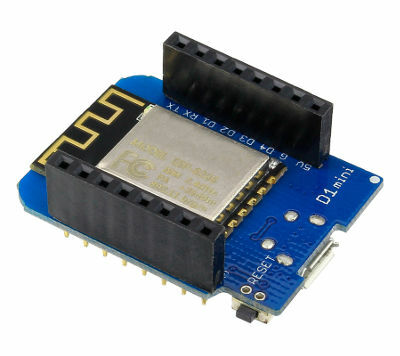 If you connect it to 5V digital sensors or devices you may need a logic-level converter, such as our 4-channel or 8-channel logic-level converter modules. 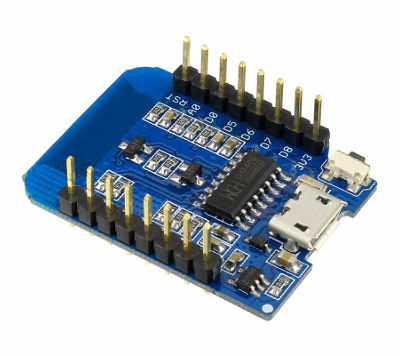 Use the provided sets of header pins to configure your board how you desire.